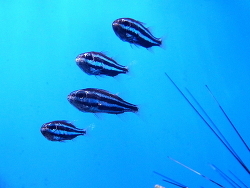 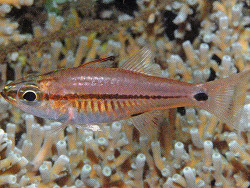 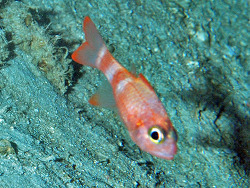 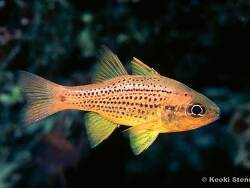 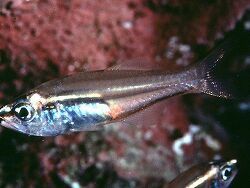 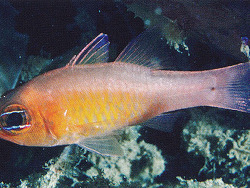 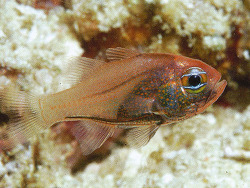 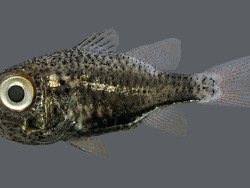 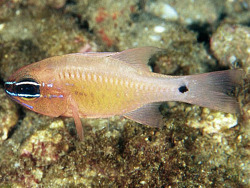 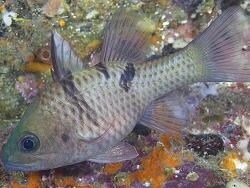 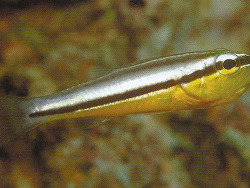 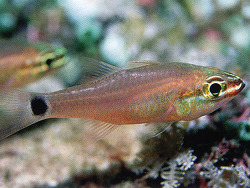 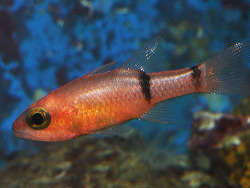 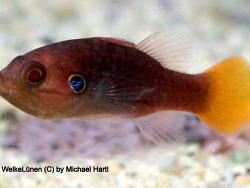 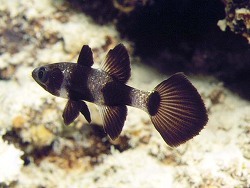 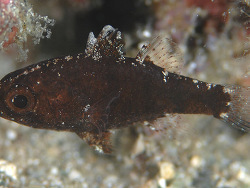 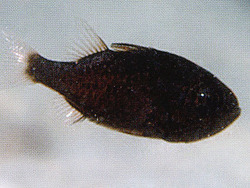 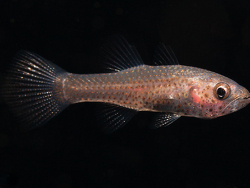 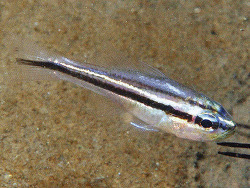 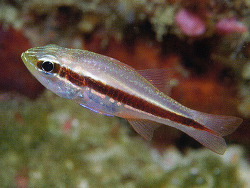 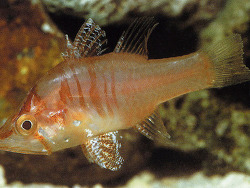 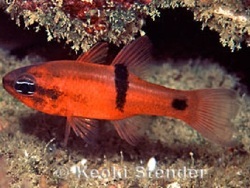 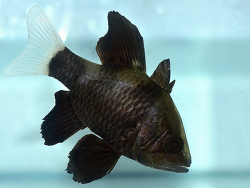 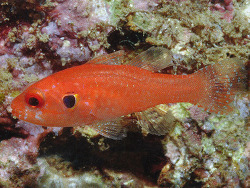 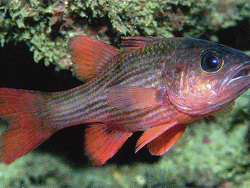 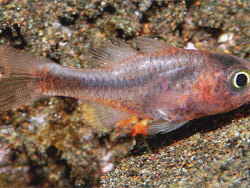 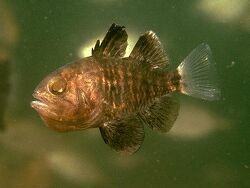 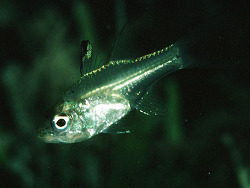 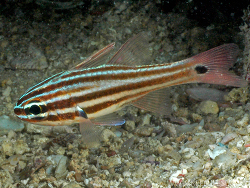 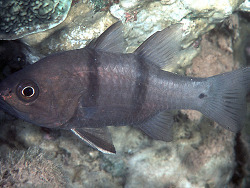 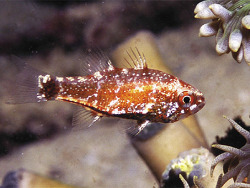 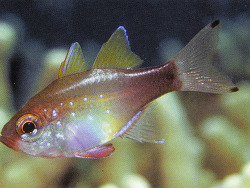 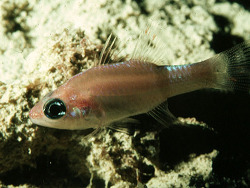 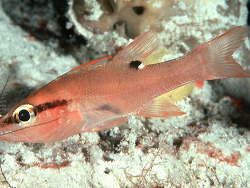 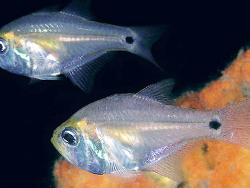 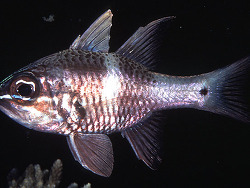 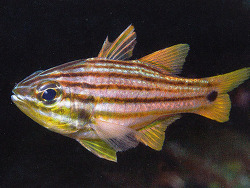 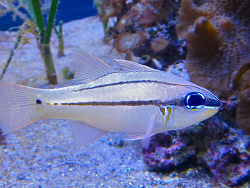 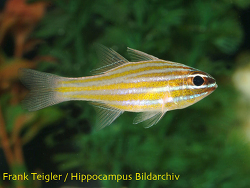 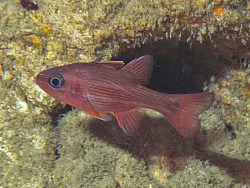 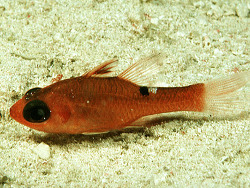 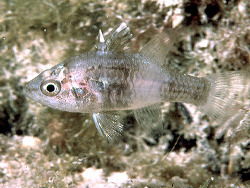 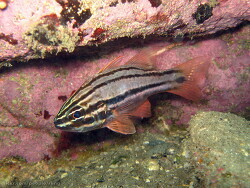 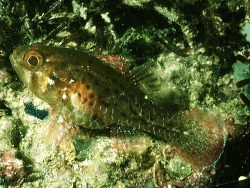 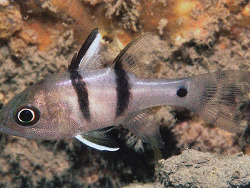 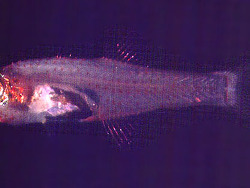 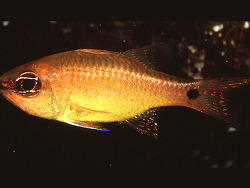 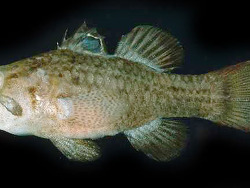 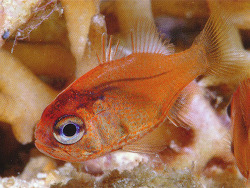 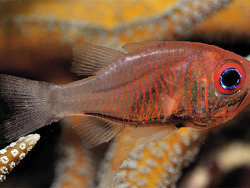 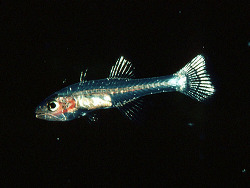 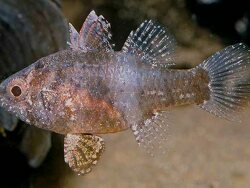 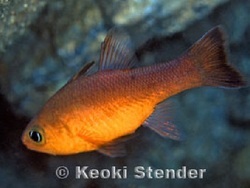 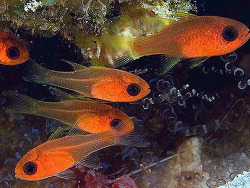 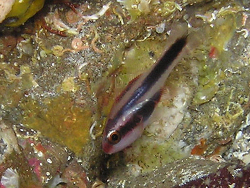 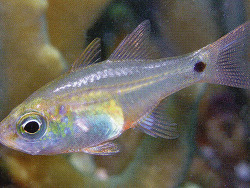 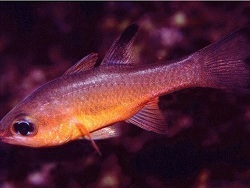 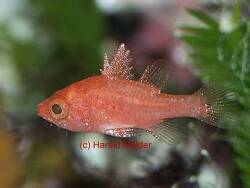 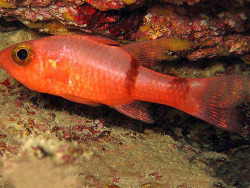 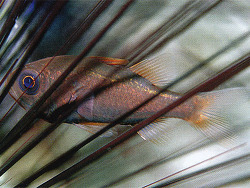 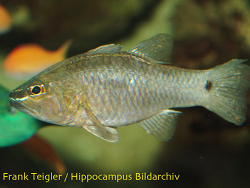 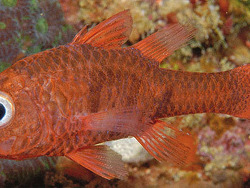 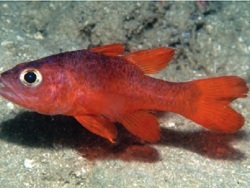 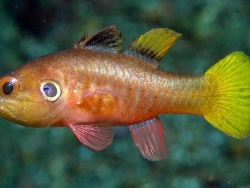 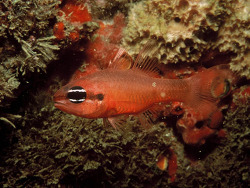 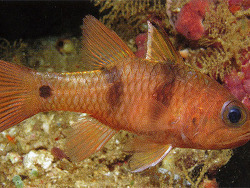 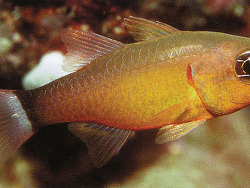 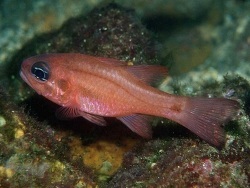 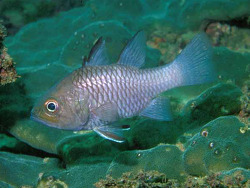 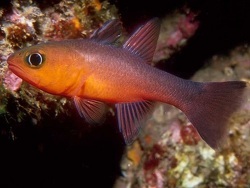 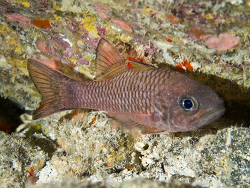 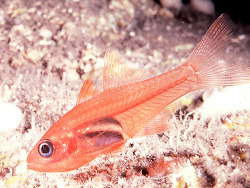 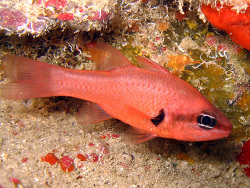 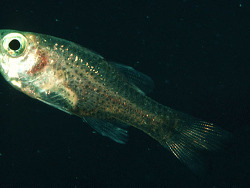 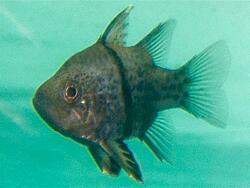 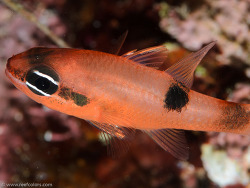 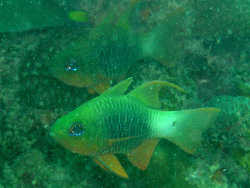 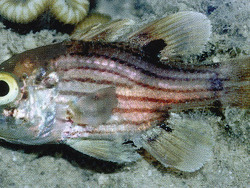 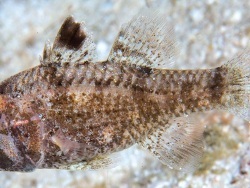 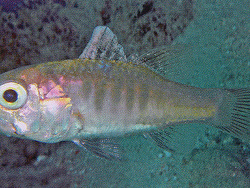 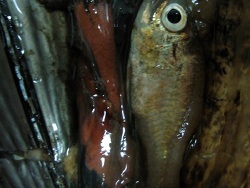 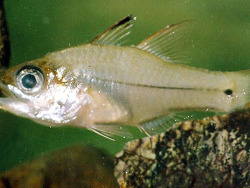 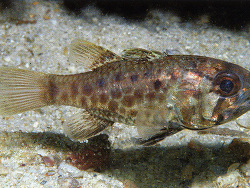 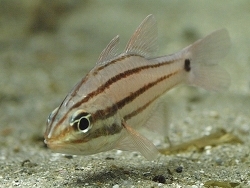 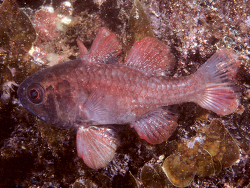 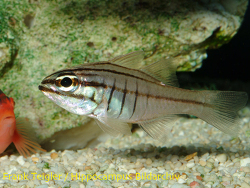 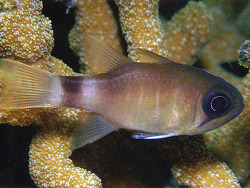 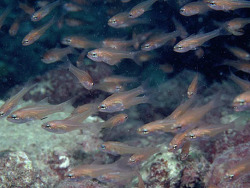 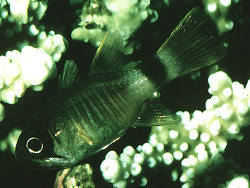 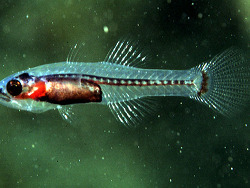 Cardinalfishes are mostly small, peaceful, and generally nocturnal fishes. 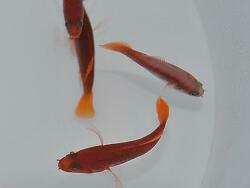 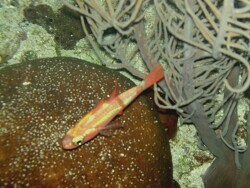 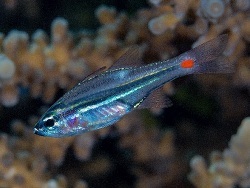 They got her name because the main coloration of many of these fishes are red. 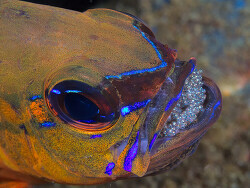 They are carnivorous plankton feeders with generally large eyes and mouths, some of them are very colorful. 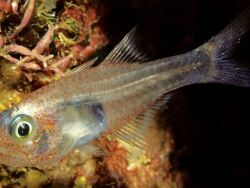 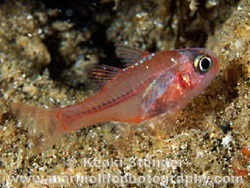 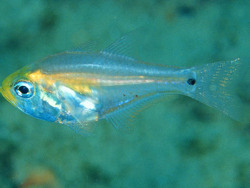 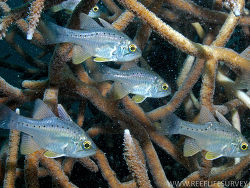 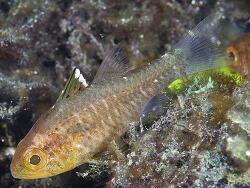 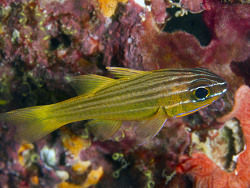 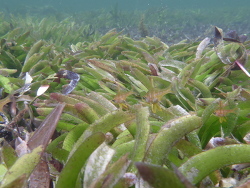 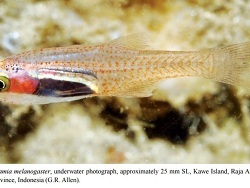 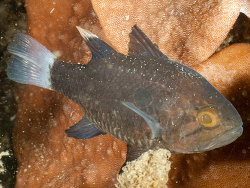 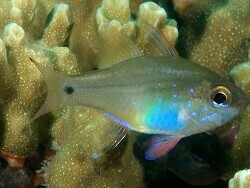 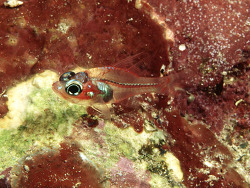 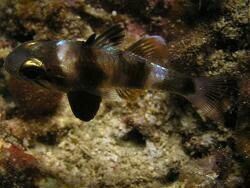 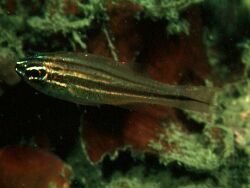 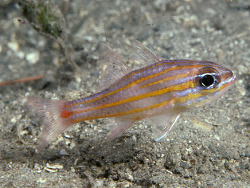 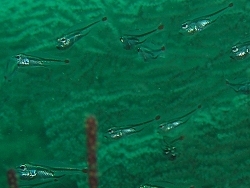 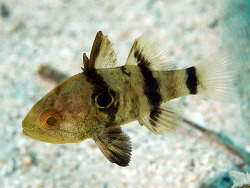 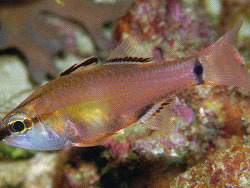 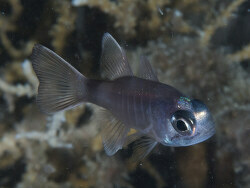 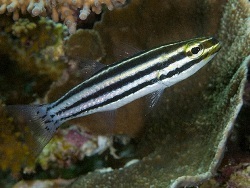 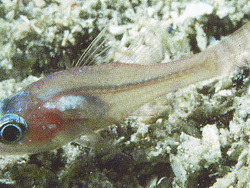 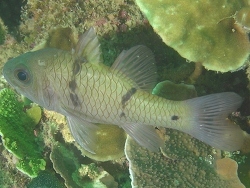 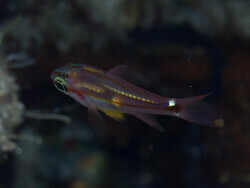 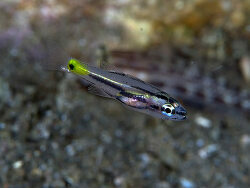 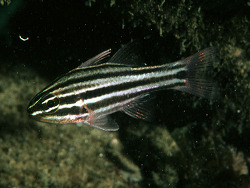 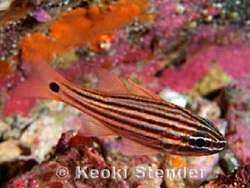 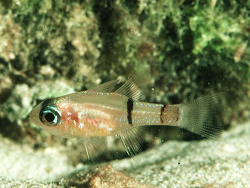 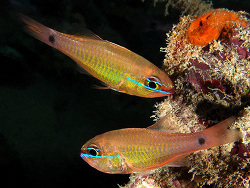 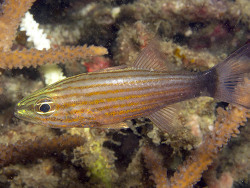 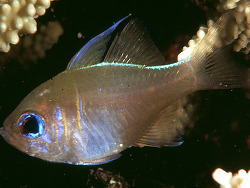 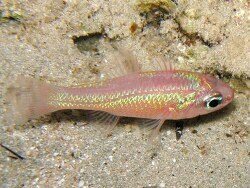 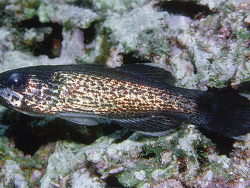 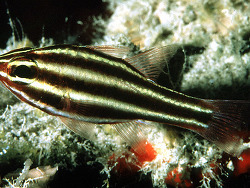 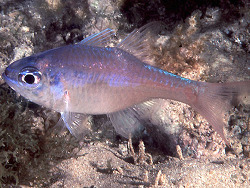 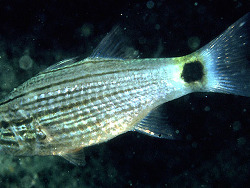 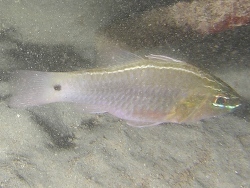 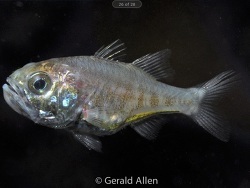 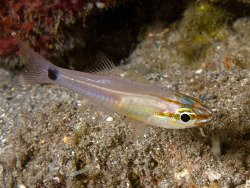 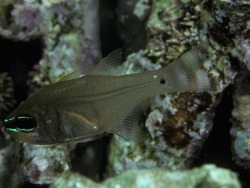 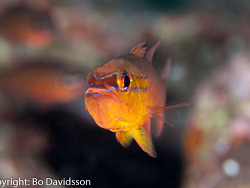 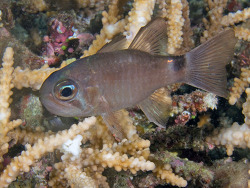 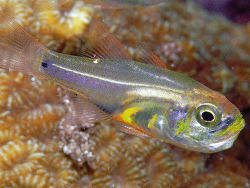 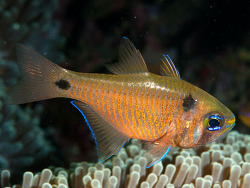 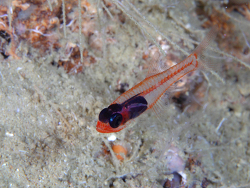 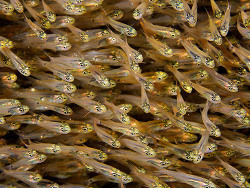 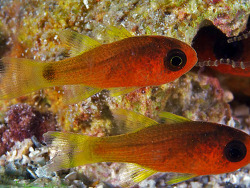 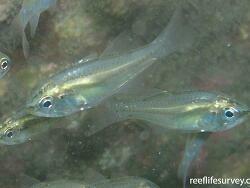 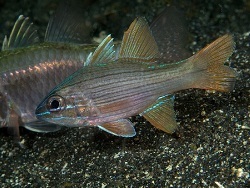 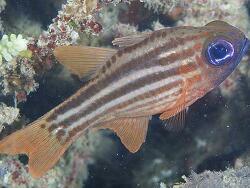 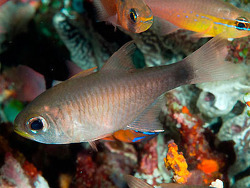 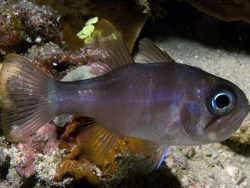 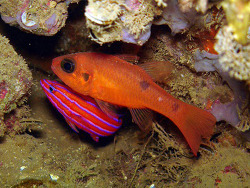 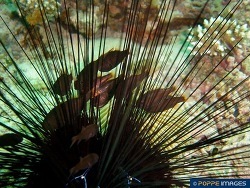 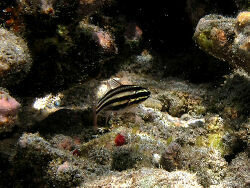 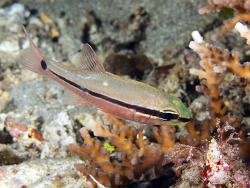 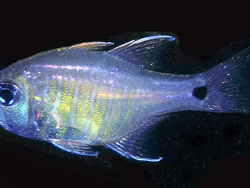 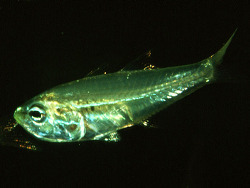 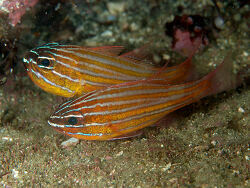 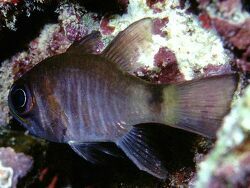 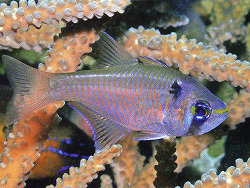 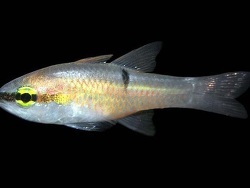 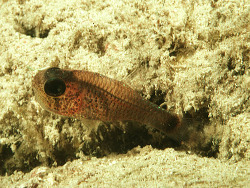 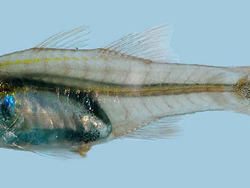 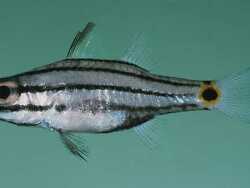 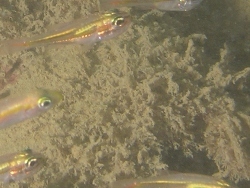 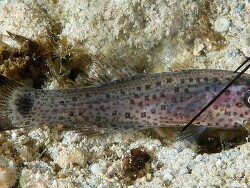 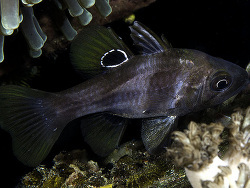 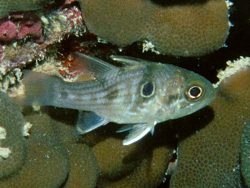 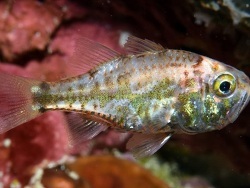 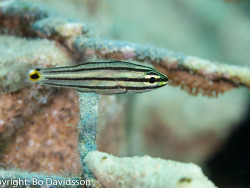 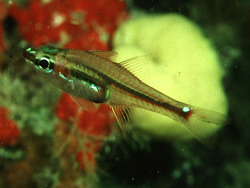 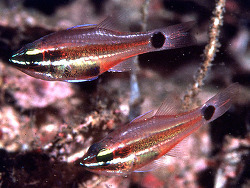 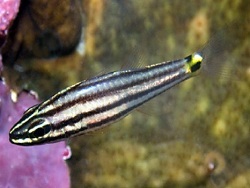 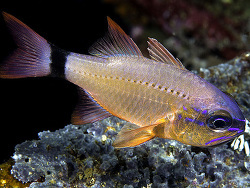 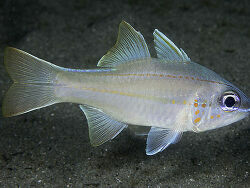 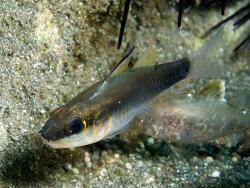 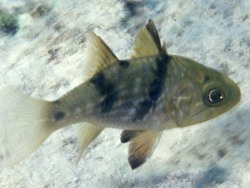 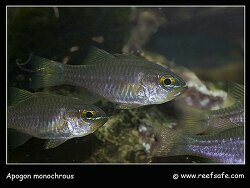 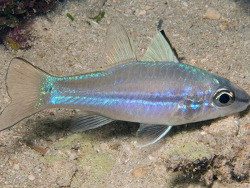 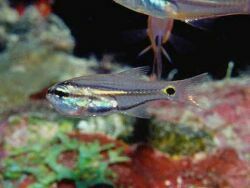 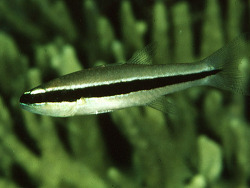 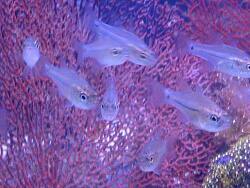 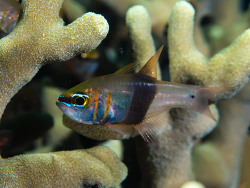 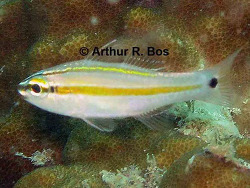 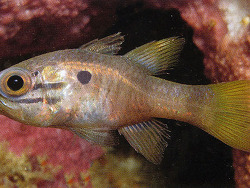 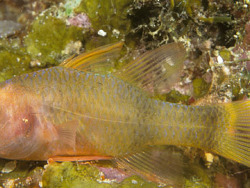 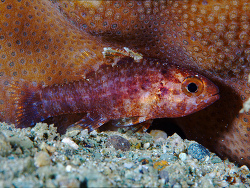 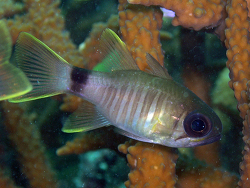 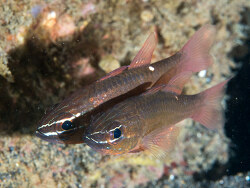 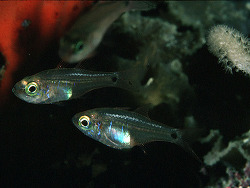 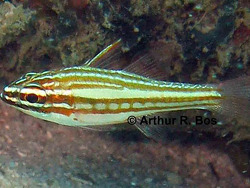 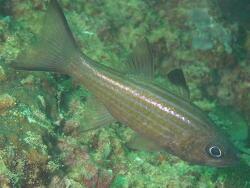 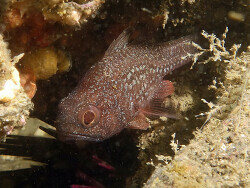 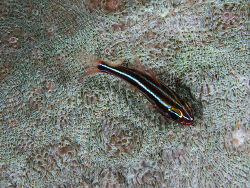 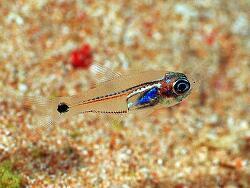 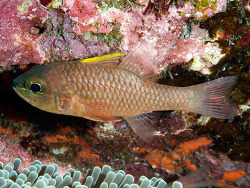 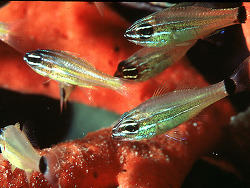 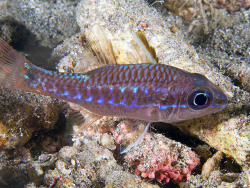 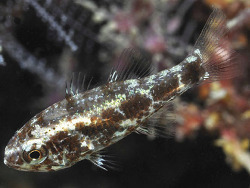 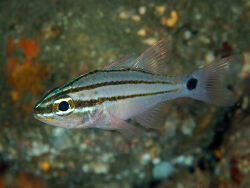 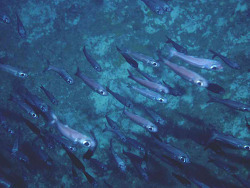 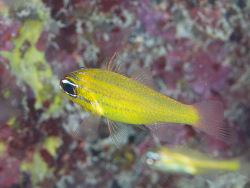 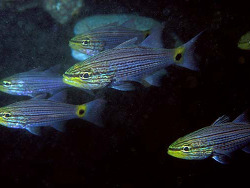 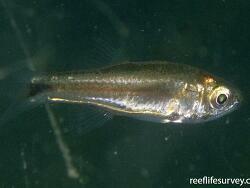 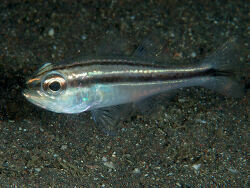 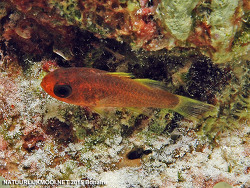 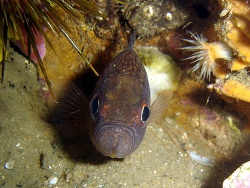 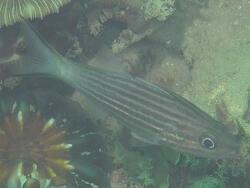 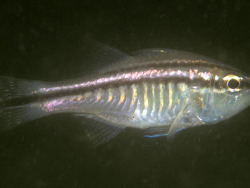 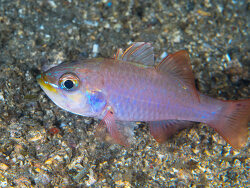 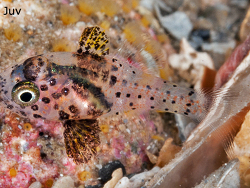 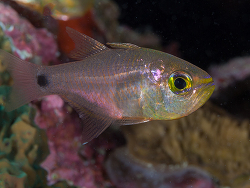 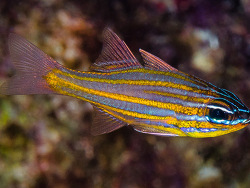 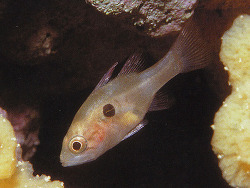 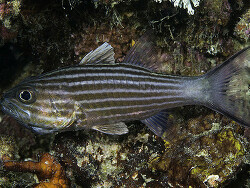 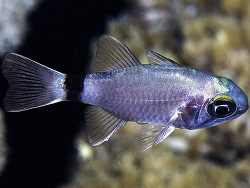 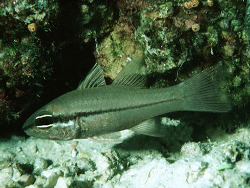 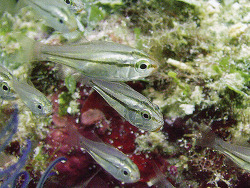 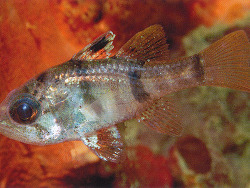 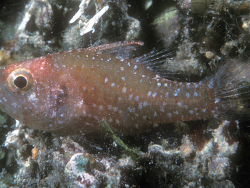 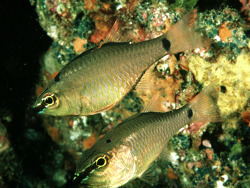 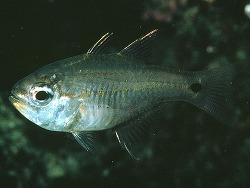 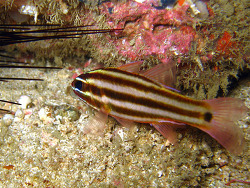 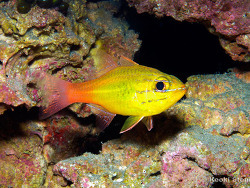 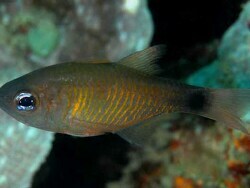 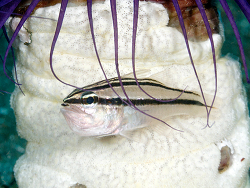 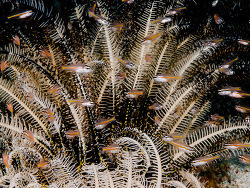 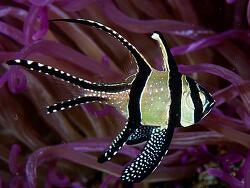 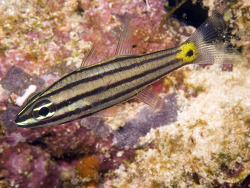 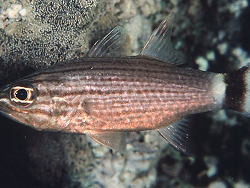 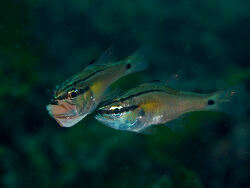 Most Kind of this genus are found amongst coral branches duringe the day, searching for food at night. 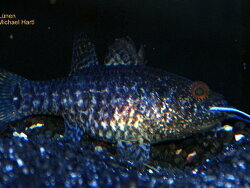 They are mouthbreeder, the males incubating the eggs. 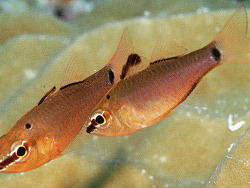 Cardinalfishes are best kept in small groups and should have adequate caves and hiding places with subdued lighting.